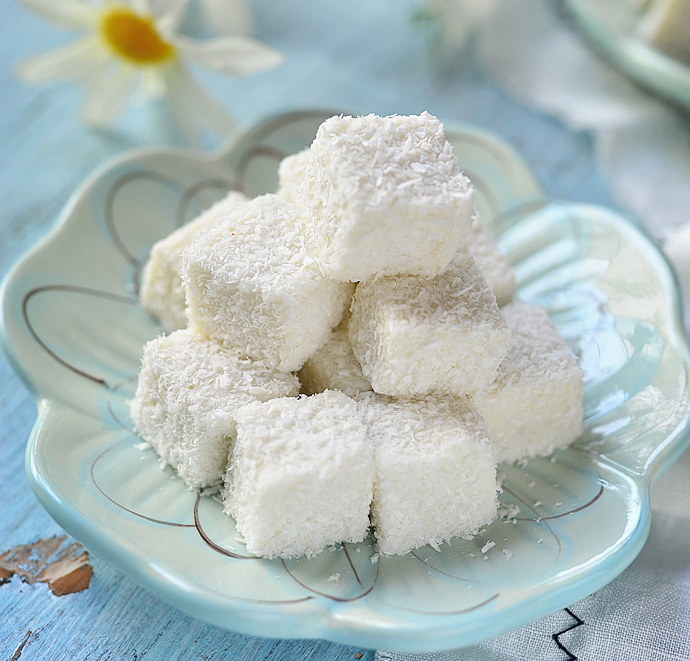 I am a big fan of desserts, and one of my favorites is coconut milk pudding. I remember when I went through a tea shop, and a Coconut Milk Pudding would stand out, and I couldn’t resist the temptation to buy one. It is said to be one of the kings of a bakery. 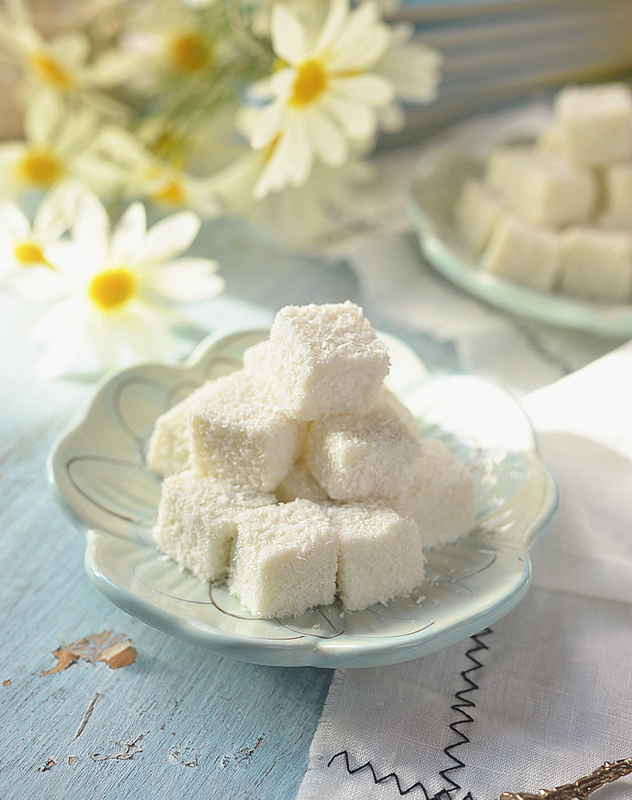 The fresh and delicious Coconut Milk Pudding is a favorite, not only its lovable minimalist appearance, but also its rich coconut and smooth texture, it gently melts in your mouth. The most important thing is that this is easy to make and very delicious. This simple dessert only takes 30 minutes. Step 1. 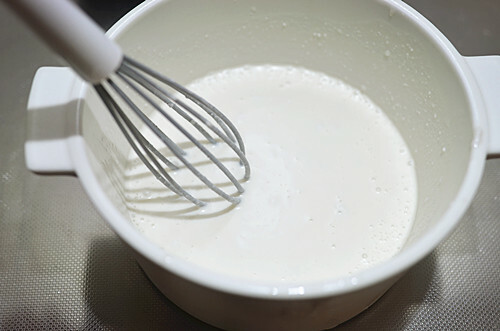 Add half the amount of milk to the light cream, fine sugar, condensed milk, and coconut milk. Mix. Step 2. 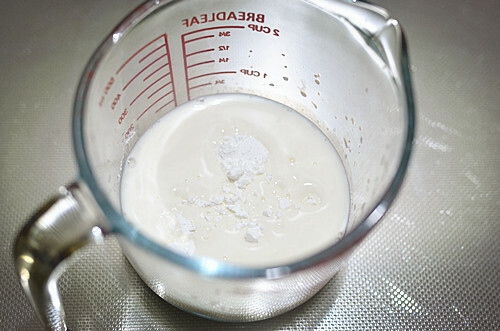 Add the other half of the remaining milk and the cornstarch in a separate container and mix well. Step 3. Heat until the sugar is dissolved. Step 4. 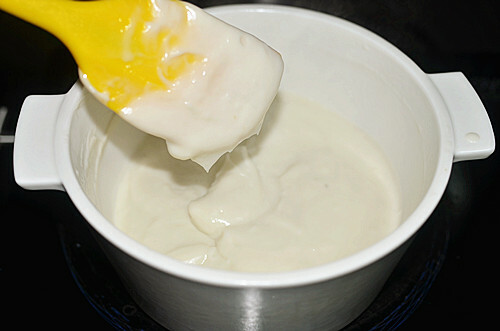 Pour the milk with corn starch in, continue to stir continuously to prevent burning. 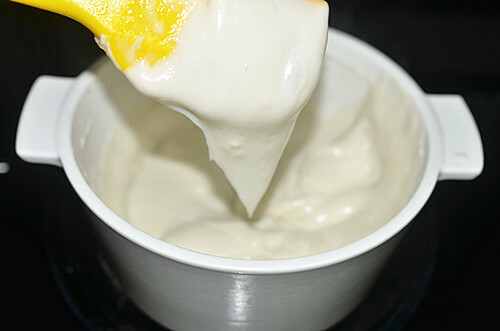 At this time the liquid will slowly turn into a thick paste. Step 5. Continue to heat on low until it is the consistency as shown in the picture below. Step 6. 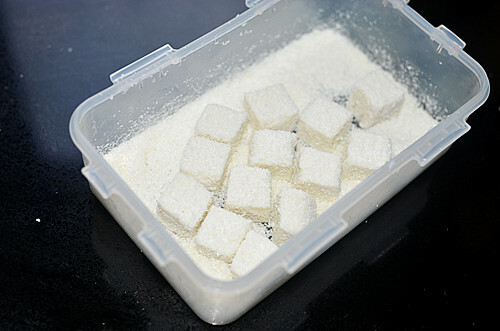 In a square or rectangular container, spread a layer of desiccated coconut evenly across the bottom. Step 7. 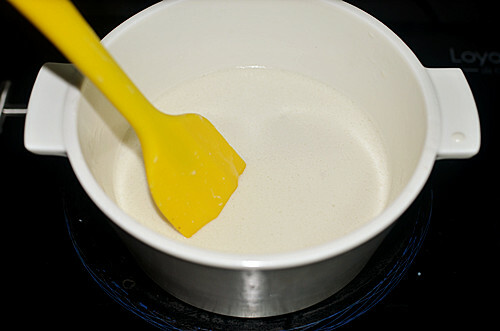 Pour the coconut milk paste into the container. Cover with plastic wrap and press it down onto the surface of the pudding. Put it in the refrigerator for at least 4 hours. Step 8. 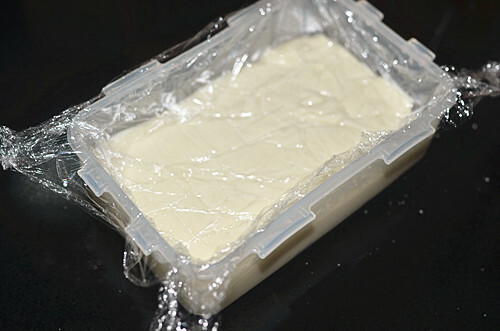 Take off the plastic wrap, turn the container upside down onto a cutting board to release from the container and cut into small squares of uniform size. Step 9. 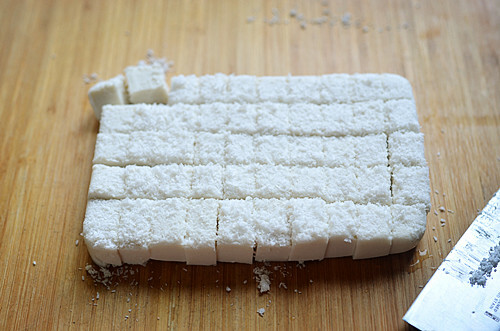 Put more desiccated coconut into the container, and toss the squares into it to coat, and ENJOY! 1. The whole cream is to increase the milk flavor. You can use all milk instead. 2. 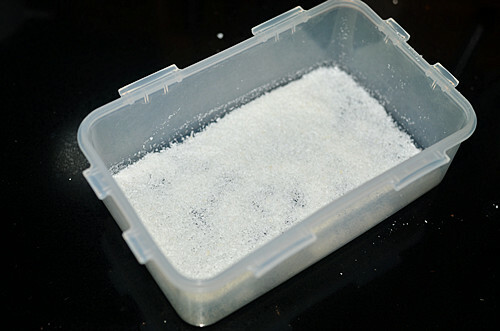 A layer of desiccated coconut on the bottom of the container makes it easier to get out after refrigerating. Tossing them in coconut after they are cut helps keep them from sticking to everything also (so you don’t get your hands sticky when you eat it, and they don’t stick together when you store it).